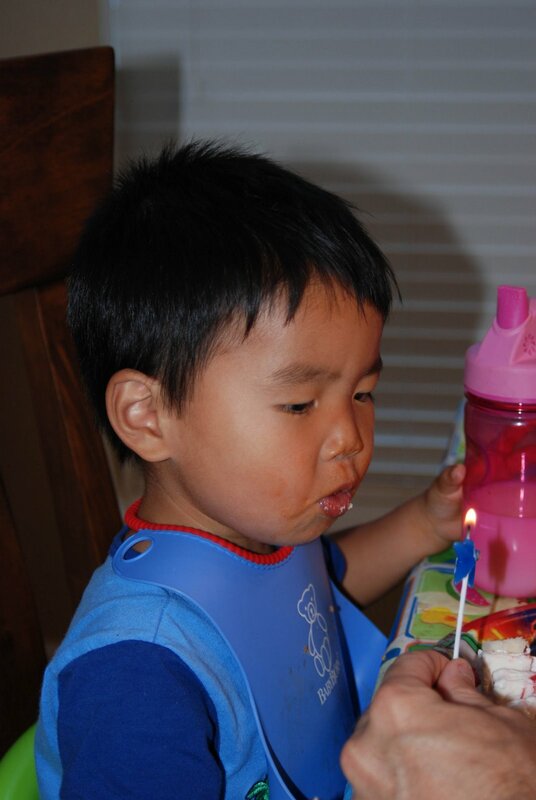 Mason practices blowing out his candles. He put the first round out with his fingers. Obviously, his first time with candles 🙂 He finally got the hang of it and had fun blowing them out. We have a family tradition of wearing birthday hats on everyone’s birthdays, young and old. 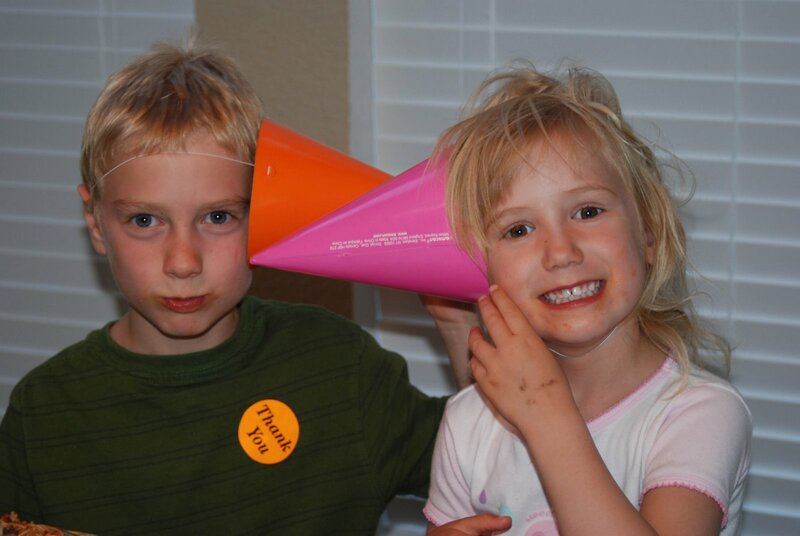 Sam and Paige were having fun finding new ways to wear their hats. Mason enjoying his time out of shoes and brace. He is standing at his new sand and water table. He is beginning to stand on his feet more and more. In the beginning, he did not like that sensation of standing on the bottoms of his feet. Happy birthday, sweet boy! We love you and can’t wait to celebrate so many more birthdays with you!